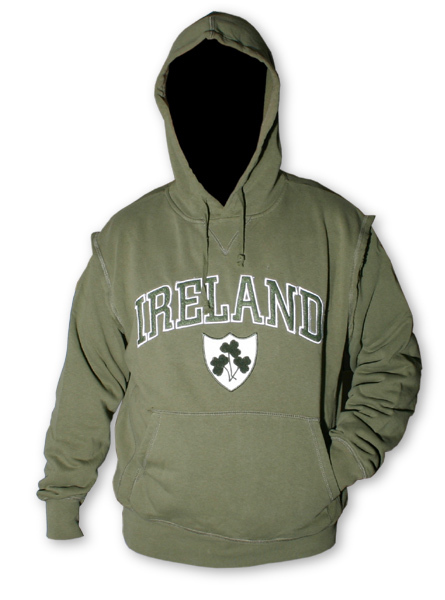 Medium weight jacket, featuring a heavier than normal embroidered "IRELAND" and shamrock shield patch. Sleeves are sewn on using outside stitching for this style. Also with 'IRELAND' across the chest. Drawstring hood, pouch pockets and elasticated waistband and cuffs. Made from 100% Cotton Available in all sizes while stocks last. Click the image for a larger view.